Up Front Pricing. 100% Satisfaction Guaranteed. Previously named Lindley Heating & Cooling, Indiana Home Comfort Solutions has over 20 years of experience providing quality heating, cooling, insulation, and ductwork services to Indiana residents. 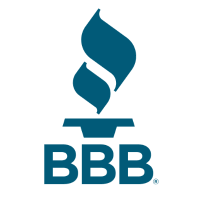 Our customers trust us to provide expert services and products that work, all while treating them with care and concern throughout the entire process. They are thrilled with the result! Our knowledgeable and friendly technicians will put you at ease with their expertise and professional demeanor, enabling you to ask any questions you might have at any point. Our high-efficiency heaters will make your home more comfortable. We provide repair and maintenance services for all brands and models of central and ductless air conditioners. Our air sealing attic insulation services will create a more comfortable and energy-efficient home overall! Are leaky, uninsulated ducts affecting the air you pay to treat? Our air sealing ductwork solutions can help. A thorough Home Energy Audit helps you prioritize energy upgrades based on your home's unique thermal envelope. Maximize your Energy Savings & keep your HVAC system running efficiently with one of our Annual Maintenance Plans. By Doug & Michelle R.
"The install techs were all very nice. We appreciated their..."
Nothing is worse than turning on your air conditioning or heating, expecting relief from the extreme weather, and being underwhelmed with the result. Indiana Home Comfort Solutions will provide you with functional HVAC systems that give you what you need. We work with all kinds of home heating systems, water heaters, furnaces, and air conditioners - so we know we have the option for you! We are happy to replace or repair an old system or install a new one if need be, and we will always give our honest, professional opinion on work needed. Indiana Home Comfort Solutions knows that a leaky ventilation system only causes problems for your home's energy efficiency. We provide duct sealing, and installation services for these reasons! We are proud to work with the Aeroseal duct sealing system, which expertly contains the air in your ducts and keeps your system operating properly. Ducts and ventilations are crucial for delivering conditioned air throughout your home, so it is in your best interest to have them checked! And since most duct sealing projects only take one day to complete, you'll feel the difference of healthy air circulation in no time at all. Even with a great HVAC system and clear, sealed ductwork, a lack of insulation will negate the positive effects of the rest of the system. This is because insulation is essential in keeping your conditioned air inside - and conversely, preventing the outside air from getting in! Drafty rooms, cold floors, and ineffective HVAC systems can all be signs of insulation troubles. Here at Indiana Home Comfort Solutions, we provide reliable crawl space and attic air sealing. Contact us to schedule an appointment! Don't hesitate - contact us today! 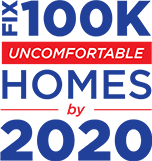 Every homeowner should be completely comfortable in their home, and we are glad to be of service in this cause! With a functional HVAC system and proper insulation, you will wonder how you got along without them for so long. Not only will you feel the difference in the air - you'll notice lower energy expenditures as well.